The School of Health Administration is very pleased to announce that Dr. Tanya Packer has accepted the position of Interim Director of the School of Health Administration and Interim Assistant Dean of the Faculty of Health. Tanya will begin her term in July. 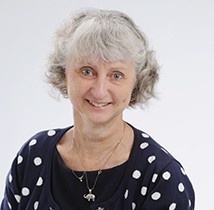 Dr. Packer is a proven leader with significant experience in the Faculty of Health through her role as the Director and as a Professor in the School of Occupational Therapy. She is a respected academic with a strong research track record. Her research topics include Fatigue Management, Chronic Management, Disability, Self-Management and Occupational Therapy. Welcome to the School – Dr. Packer!